Yesterday brought the sad news of the death of J.D. 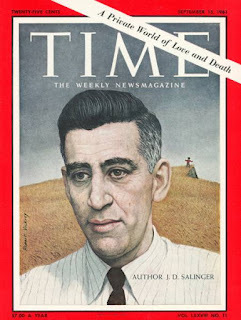 Salinger, author of the classic New York tale Catcher in the Rye. The New York Times obit mentioned briefly that Salinger had been born in Harlem, so we decided to do a little digging and found that he'd been born just south of Trinity Cemetery at 3681 Broadway (at 153rd Street). The building, Halidon Court, was built in 1910 and designed by Emery Roth, who would later go on to build such famous Upper West Side edifices as the Eldorado and the Beresford -- and another of Salinger's future homes. This handsome building still stands. The Salinger family moved within a year of J.D. 's birth to an apartment on the Upper West Side at 113th Street and Riverside Drive. 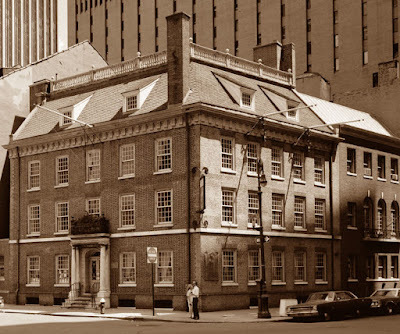 According to biographer Paul Alexander, "between 1919 and 1928, the Salingers moved three more times before they ended up in a pleasant apartment on West Eighty-second Street." The Myron Arms is still there, however -- just across the street from Barnes & Noble -- so if you're heading in that direction to replace your dog-eared copy of Catcher in the Rye or Nine Stories, take a moment to admire Salinger's boyhood home. 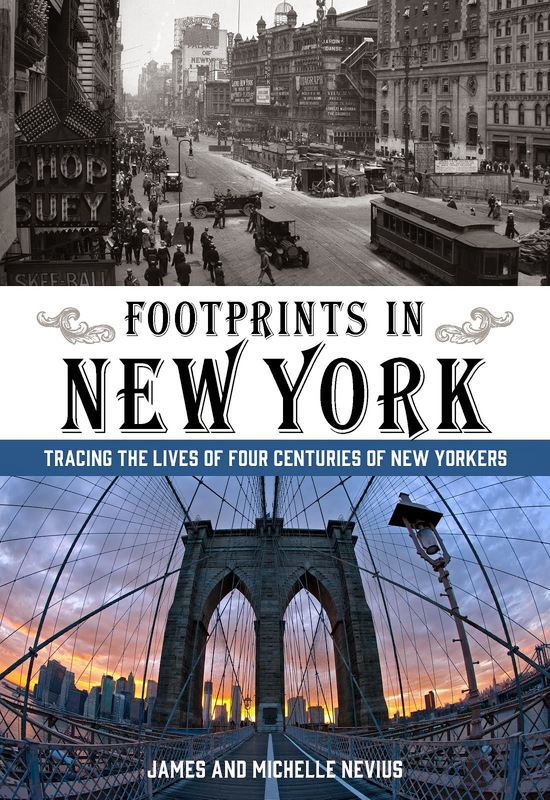 Read more about the Upper West Side -- and take a self-guided walking tour -- inInside the Apple: A Streetwise History of New York City. Tonight, January 25, 2010, marks the 65th anniversary of Richard Tucker's debut at the Metropolitan Opera. One of the most popular tenors in the company's history, Tucker had a career that spanned nearly thirty years and took him to stages around the world (as well as appearing on numerous recordings, radio broadcasts, and television shows). 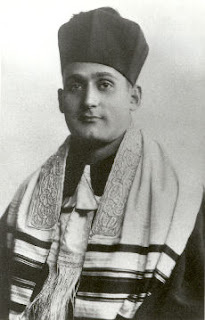 However, Tucker's singing career began not with arias but with prayer -- he was a cantor at Tifereth Israel synagogue on Allen Street. However, in 1936, Tucker married Sara Perelmuth, whose brother was up-and-coming operatic tenor Jan Peerce. Soon Tucker's own musical path had changed and on January 25, 1945, he sang the role of Enzo in La Giocando at the Met to rave reviews. If you are on the Upper West Side today in the neighborhood of Lincoln Center (maybe going to see Placido Domingo in Simon Boccanegra?) check out Richard Tucker Square, the small triangle of land just south of 66th Street. In it sits a bust of Tucker by Milton Hebald; engraved on the base are the names of the 31 operas in which Tucker performed. Friday marks what would have been the 75th birthday of the King of Rock and Roll, Elvis Presley, who was born January 8, 1935, in Tupelo, Mississippi. 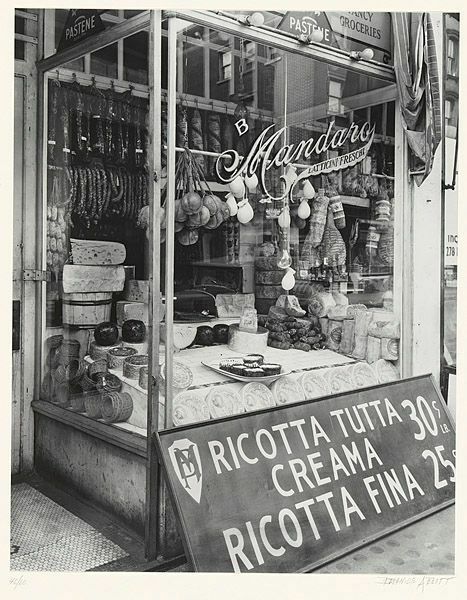 Though most associated with Memphis -- where Elvis and family moved when he was 13, where he cut his first, influential Sun Records tracks, and where he later lived in the mansion/shrine Graceland -- the King had an important relationship with New York City, especially during the earliest part of his career. Elvis first came to New York on March 23, 1955 to audition for Arthur Godfrey's Talent Scouts, a CBS program that showcased unheralded talent. 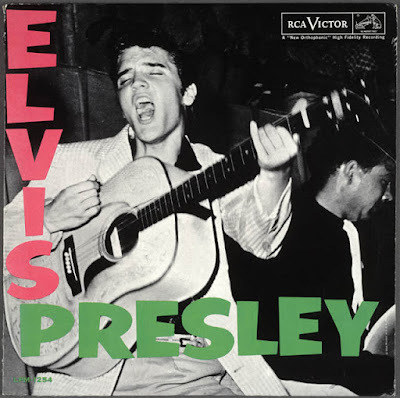 Though he had already cut his first single, "That's All Right"/"Blue Moon of Kentucky," for Sun, Elvis was virtually unheard of outside the south and was still mainly playing the high school concert circuit. The trip to New York was his first plane ride. Elvis and the other two members of his trio (Scotty Moore and Bill Black) spent the day sightseeing before the audition, which took place at Godfrey's offices at 501 Madison Avenue. 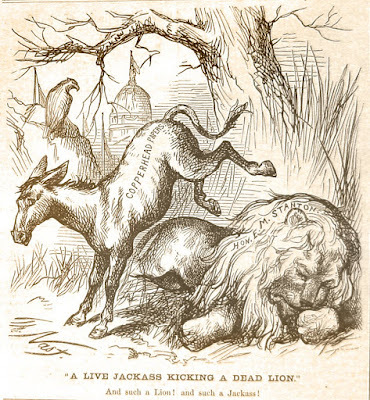 Just a few months later, however, Presley returned to the city. Now fully under the management of Colonel Tom Parker and under contract to RCA records, Elvis returned in November 1955 for a round of publicity photos and in January 1956, he was back again to make his first national television appearance on The Dorsey Brothers Stage Show, where he performed "Shake, Rattle & Roll"/"Flip Flop and Fly" and "I Got a Woman." 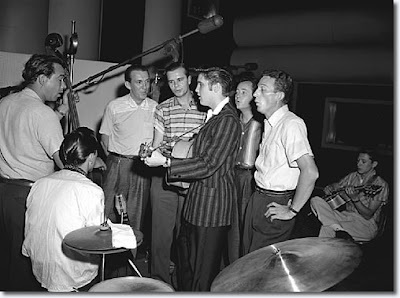 But perhaps the most important contribution New York made to Elvis's early career were the tracks he cut at the RCA Studios in January, February, and July 1956. On January 30, the King reported to the studios at 155 East 24th Street (now, sadly, demolished) and over the next two days recorded a string of songs that would appear on his debut album, including the hit "Blue Suede Shoes." When "Don't Be Cruel"/"Hound Dog" was released it spent 11 weeks at the top of the charts and Elvis was a certified phenomenon. In September he appeared on Ed Sullivan -- his first number famously shot so that the TV audience would not see his swiveling hips -- and the program brought in an 82.9% share of the television audience. While Presley would return to New York later in his career, most notably for concerts at Madison Square Garden in the 1970s, he never recorded another track here.